An official report to the United Nations climate change body shows a widening gap between New Zealand's targets post-Kyoto and projected emissions in the next two decades. 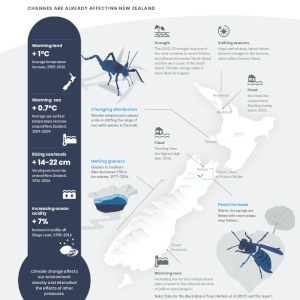 The 'Sixth National Communication under the UN Framework Convention for Climate Change and the Kyoto Protocol' provides an overview of New Zealand's current carbon emissions, projected emissions to 2030 and a summary of the country's climate change initiatives and targets. Projections included in the report show emissions will likely reach double that of 1990 levels by 2015, and continue to rise throughout the following decade. The report shows a major anticipated spike to carbon emissions as harvesting of plantation forests from the 1990s begins in the coming decade. Emissions from other sectors are expected to continue to increase, barring substantial breakthroughs in agricultural greenhouse gas reduction where research is ongoing. The Government has set a long-term emission reduction target of a 50 per cent reduction in net greenhouse gas emissions from 1990 levels by 2050. "The latest national communication for New Zealand under the UNFCCC underscores how our clean green image is just that, an image, with no real substance. When New Zealand signed up to the UNFCCC at the Earth Summit in 1992, we pledged to cut our greenhouse gas emissions. Since 1992 and under successive governments, New Zealand's emissions have risen nearly 60% and the latest national communication from MfE projects another 50% increase by 2030. "We are not doing our fair share, not at all. "Over the same period since 1992, comparator countries such as Denmark have cut their emissions substantially, have reduced their dependence on dairying and have become leaders in wind energy technology and efficient public transport. "New Zealand as a country is missing so many business opportunities by clinging to outmoded ways of thinking. The present government's agenda involves unlimited fossil fuel exploration and billions for 'roads of national significance'. Meanwhile, car usage is decreasing amongst the younger generation in many countries, and other countries are cashing in on developing the new renewable technologies we will all need in coming years. The only reason New Zealand still appears clean and green is that it is very under-populated in global terms." "If we in New Zealand are finally shown to have met our Kyoto commitments during the first commitment period from 2008 to 2012 then this will have been almost entirely due to sequestration of CO2 by new forest planted during the 1990s. "Only small areas of new forest have been established since the turn of the century, however, when our planted estate was 1.75 million ha, and there has been quite significant deforestation since then. Forests planted during the 1990s are scheduled to be harvested during the 2020s, and with current policy settings portions of this hitherto agricultural land could be returned to their former use, making it difficult to meet our GHG reduction targets after 2030. In order to forestall the GHG blowout in NZ that will almost certainly occur during the 2020s, we could have used an effective domestic emissions trading scheme to stimulate planting of large areas of new forest during the 2010s, but this does not appear to be happening. "New Zealand is apparently operating two sets of accounts relating to planted forest area. On the one hand we have the sixth national communication for the UN FCCC claiming that the current area of planted forest is 2.1 million ha in NZ. On the other hand we have the New Zealand National Exotic Forest Description, that the forestry sector has relied on for decades, which states that our planted forest area was 1.78 million ha in 2012, and yearly statistics indicate that there was a drop in our net planted area during the latter half of the 2000s. Furthermore, as acknowledged in the national communication, in excess of 50,000 ha is 'intended' to be deforested between 2013 and 2020. "The difference in total areas of planted forest in these two government reports corresponds to an area roughly twice the size of Kaingaroa Forest, and so where is all this new forest? "The price of credits is acknowledged in the sixth national communication to have dropped to low levels (it is currently hovering around $3/Unit), and our surveys suggest that in order to stimulate new planting the price needs to be somewhere in the vicinity of $15/credit. We have not increased our national plantation forest area by ~350,000 ha since 2000. It is therefore appropriate to call into question the picture painted in the sixth national communication. "The New Zealand domestic carbon credit price dropped from roughly $20/credit to its current low levels after large numbers of internationally sourced RMUs, CERs and ERUs entered our credit registry in 2011. There is telling circumstantial evidence that many of these credits are converted "hot air" credits from countries in the eastern European bloc whose economies collapsed after 1990 and who therefore have billions of credits to sell each year. Such credit imports allow us to maintain the illusion of an emissions trading scheme while actually hardly changing our net greenhouse gas emissions behaviour at all. "I have photographs of large numbers of seedlings that were recently killed with herbicide in a nursery because they went unsold during the 2013 planting season. These two year old seedlings were grown in anticipation of a well functioning emissions trading scheme. I cannot imagine how we shall meet the targets for reductions in GHG emissions outlined in the sixth national communication without substantial changes to our climate change policy settings." 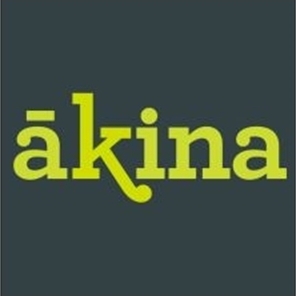 The Science Media Centre (NZ) is an independent source of expert comment and information for journalists covering science and technology in New Zealand. 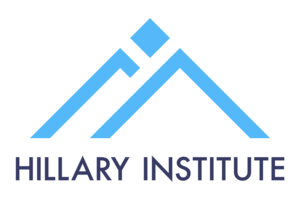 Our aim is to promote accurate, evidence-based reporting on science and technology by helping the media work more closely with the scientific community. The SMC (NZ) is an independent centre established by the Royal Society of New Zealand with funding from the Ministry of Business, Employment and Innovation. The views expressed in this Science Alert are those of the individuals and organisations indicated and do not reflect the views of the SMC or its employees. 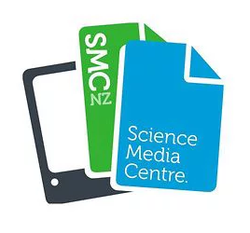 For further information about the centre, or to offer feedback, please email us at smc@sciencemediacentre.co.nz.